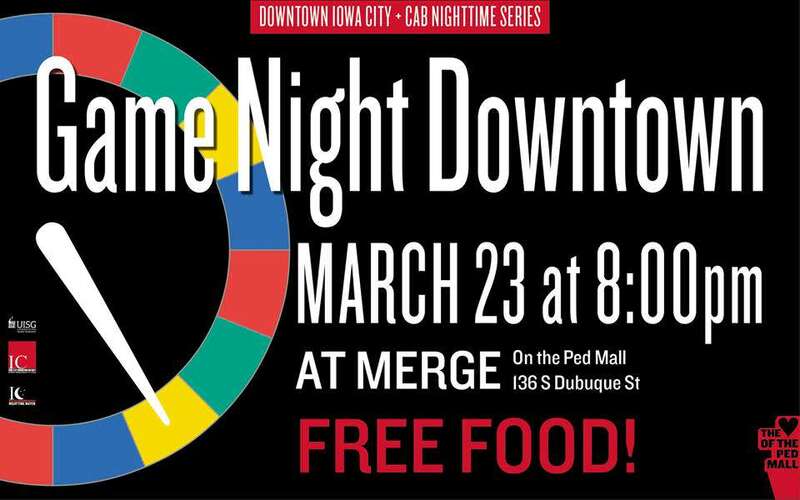 Anyone and everyone is invited to join us at MERGE Iowa City on Friday, March 23rd for GAME NIGHT. Bring your friends and competitive spirit as you get the chance to play dozens of board games, cards, and the opportunity to win PRIZES. So stop by, bring your own games if you want, and enjoy free food from PiZan Pizza! 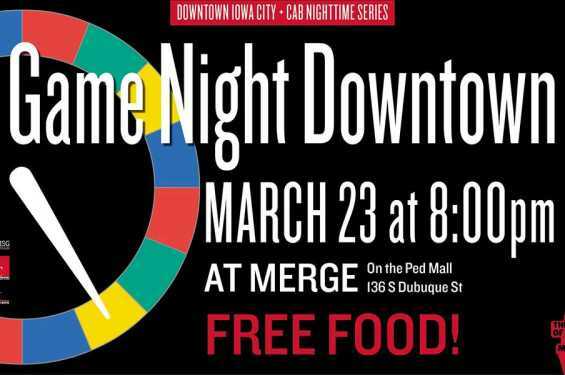 In partnership with the University of Iowa Student Government andUniversity of Iowa Campus Activities Board (CAB), the Iowa City Downtown District's Nighttime Mayor is excited to include this event as part of a Nighttime Series.